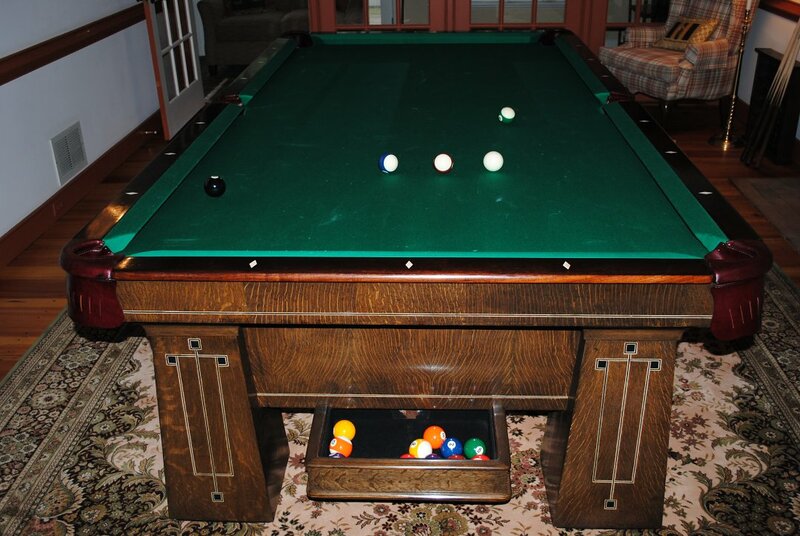 The game of table Billiards, a cue sport for two players on a green baize cloth covered table with pockets, has various forms from the 15th century in Europe. But what is known is that the first book of billiard rules was in English by Charles Cotton in 1647. The game was already very popular in England with commoners and within the Royal houses of England. Even Shakespeare's Antony and Cleopatra, in 1609 in Act II, Scene 5, Cleopatra says: "Let's to billiards. Come, Charmian."